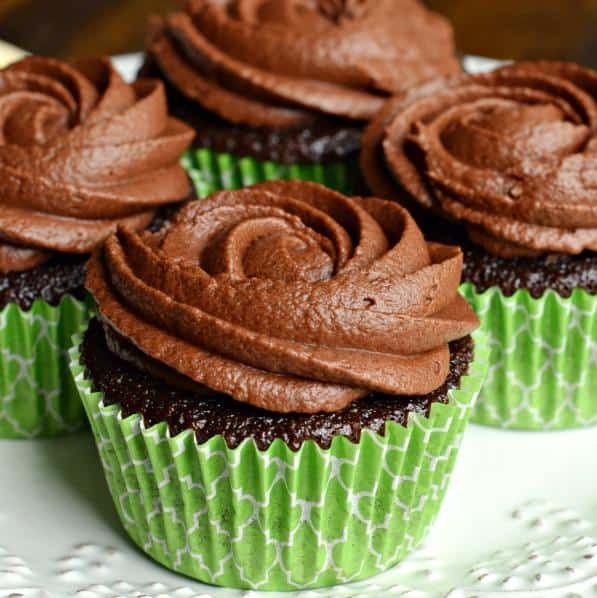 These Chocolate Frosted Chocolate Cupcakes start with the most delicious cupcake recipe ever! Then topped with a creamy, chocolate buttercream frosting with a secret ingredient! Another year…another birthday! I have officially turned 44 years old. I’m not afraid to admit my age. It’s not that I feel I look young, but I have fully lived those 44 years, and am proud of it! From raising 4 kids, to being married for over 22 years, I feel life has been good to me. 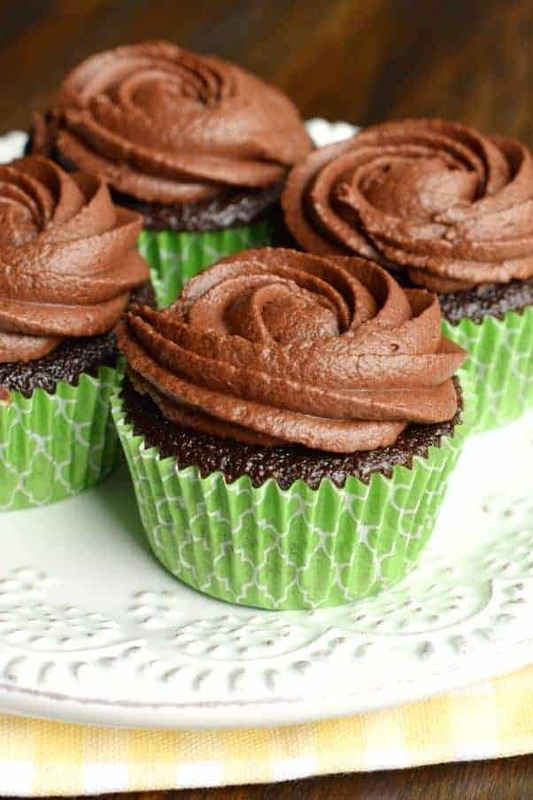 It’s the perfect time to celebrate…won’t you have some Chocolate Frosted Chocolate Cupcakes with me? I’m always hunting for the perfect chocolate cupcake. I’ve got several on my website here…but I wanted one that is not only rich and fudgy, but strong enough to hold frosting! A cupcake that doesn’t dry out. So, I headed over to my recipe for Hostess Chocolate Cupcakes and whipped up the perfect batch. I then topped them with the creamiest Chocolate Buttercream Frosting. And I’ve got a secret ingredient in my frosting: chocolate syrup. I’ve made this with and without the chocolate syrup, and every time I add it, people notice. I think it also gives a great texture to the frosting, keeping it creamier longer! 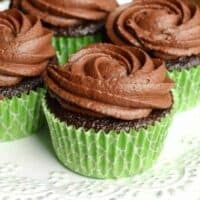 So, for my 44th birthday, I give you Chocolate Frosted Chocolate Cupcakes…go enjoy them! And as always, eat dessert first! Beat butter in large mixing bowl for 3-5 minutes, until pale in color and fluffy. Add in powdered sugar, milk, and cocoa powder. Beat an additional 3-5 minutes until fluffy. Slowly add in chocolate syrup, beating until smooth. 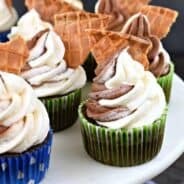 Pipe frosting onto cupcakes and enjoy! 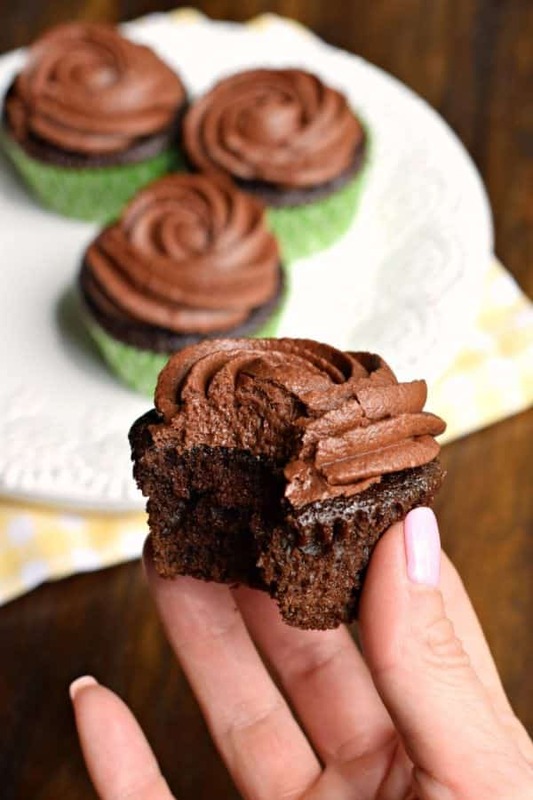 If you think these chocolate cupcakes, from scratch are amazing…you’ve got to try this recipe from TidyMom for Salted Caramel Cupcakes. Look at that swirl of frosting! Or how about something lighter in flavor, like a batch of Margarita Cupcakes from Brown Eyed Baker? I’d like a margarita on the side, please and thank you! 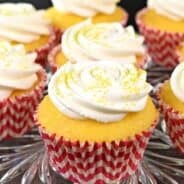 My garden is exploding with zucchini, so these Lemon Zucchini Cupcakes from Spend with Pennies is the perfect recipe to try next! Happy birthday! 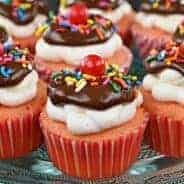 You look fabulous and anyone who has raised 4 kids deserves cupcakes, daily! It just blows my mind that boiling water would not mess up a cake/cupcakes. I have seen several recipes that call for it.